There’s a “music guru” out there saying that he made music that charted in the Top 5 of iTunes and sold a million albums, all without radio airplay. I hope that’s true, because it’d be terrible to promote that and it not be real. Still, I question the validity of something that rare. Oh my, I’ve heard this well-meaning but really off-base remark a bit over the past few months. So you can grow your music without radio? Then go do that. Promote yourself with just you, and all the social media strategy in the world. Knock yourself out. It will end up costing you more work, time, money and energy in the long run than doing radio promotion right the first time. If you can get grassroots, word-of-mouth promotion on your own that generates a million record sales and puts you up there with big label musicians like Justin Bieber and Taylor Swift without radio, more power to you. Actually, (and I’m very serious) write a book and teach the rest of us how to do that, but only if it’s real. You can then apply that “How-To” on promotion and success to not just music but also small business growth, crowdfunding and a whole slew of other platforms. I’m not being sarcastic about you achieving great things without radio. That’s entirely possible. Radio is not Superman, nor God, and it doesn’t make magic happen for everyone who gets airplay. However, to dismiss radio and how beneficial it is because you don’t happen to listen to it doesn’t mean it has no value. Actually, there’s a pretty interesting connection that radio has with Pandora, Apple Music and Spotify, and if you learn how to use the two together, you can make quite a bit of money with your music. But radio isn’t what you’re going to do because you have your music on Spotify, right? Sorry, I’ll come down off the soap box. Truthfully, radio is a huge beneficial outlet for indie musicians, but I understand why there’s so much confusion about it. When most people think of radio, they think of the stations that play nothing but Bieber and Swift, or Katy Perry or whoever is on the top side of the Billboard placements. And these stations play the same artists and songs all day long in an unending pattern of repetition. Why people still listen to these stations is beyond me. I agree, it’s incredibly boring. And I’m not listening to them either. But there is another kind of radio. 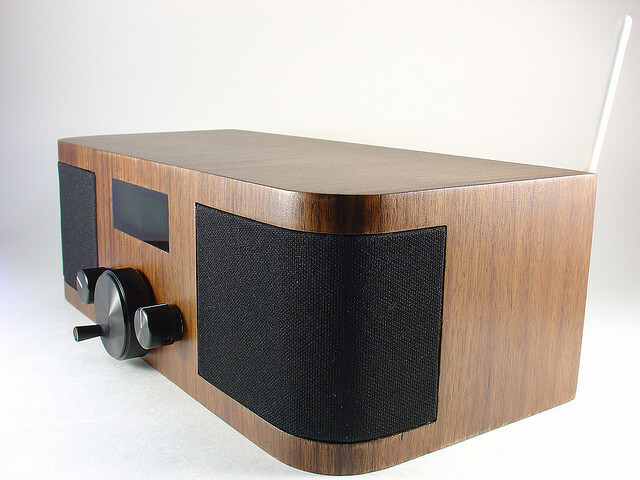 Yes, a radio that actually cares about what music is on it. Radio with an audience that is fully engaged with what they are listening to. Radio with an engaged audience that wants music that is interesting and is made by people who aren’t supported by a commercial enterprise or big label. Yes, radio that has an audience looking for your music. Do you know what kind of radio this is? It’s indie radio, yes, but that’s ambiguous in an age when “indie” means just about anything and “indie” is a buzzword people add to their platforms to be trendy or cool. The radio I’m speaking of is non-commerical radio, also known as Public Radio (think NPR), Community Radio, College Radio, and Web Radio. Do all of these stations have magnificently giant audiences? No, most of them are smaller and have regional or esoteric audiences. Size doesn’t matter in this realm because an engaged audience will look up your music when they hear it and like it. They will search you out and buy your music. They will see if you’re going to be touring or playing in their region and come to your shows. They do this for a few reasons, but the focus here is on the difference in the type of radio (commercial vs non-commercial or “indie radio” vs mainstream radio). Since there are members of your target audience who are engaged with radio stations like these and programs which are playing your type or style of music, how do you benefit yourself by avoiding these radio outlets? What is really gained by not having your music on these stations and you doing all the promotion work entirely on your own? Radio isn’t just a media outlet for listeners and it is much more than a promotion tool for musicians. Real radio (the kind I’m talking about: public, community, college, and web radio) is a passion of people who truly love certain types of music and want to showcase it to the world. The right kind of radio airplay connects your music with audiences who are engaged and supportive of the arts. These are the people you want to reach out to, and has been the bedrock for The Appetizer Radio Show for 12 years, helping to turn “unknown” artists into well-knowns, all in the indie or unsigned band space. Passionate people playing and talking about your creates THE most powerful word-of-mouth marketing to multiple groups of people, all at one time. Don’t let anyone fool you or convince you that passionate people showcasing your music to an engaged audience hurts you. Want to know how to get passionate music curators interested in your music? Focus on building a connection with them, instead of just submitting your music. Spend time with a few stations or programs and have some experiences with their craft. You’ll find yourself becoming passionate about what you hear and want to be a part of what they do. Want some other help in getting radio curators to play your music on their platforms? 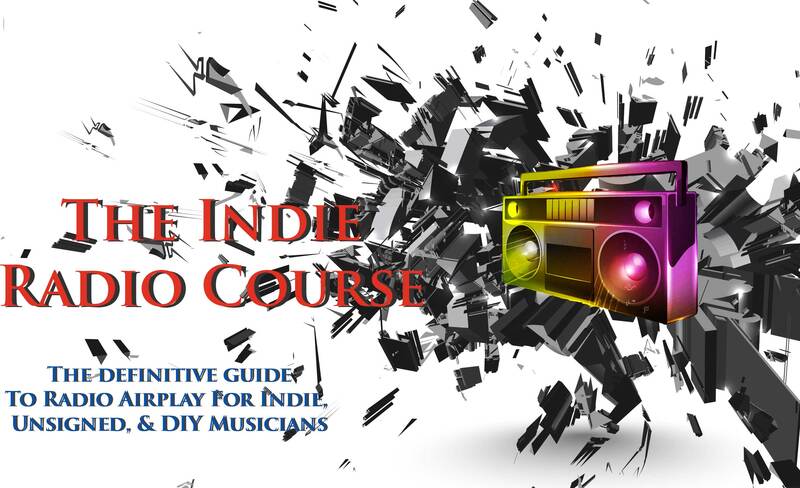 Get on board the Indie Radio Promotion Course to get the inside track on how to get the right kind of radio airplay. I’ll show you what the successful 1% of artists do to get radio airplay, as well as reveal my proven steps to getting heard and showcased around the country. The Indie Radio Promotion Course enrollment won’t be open forever, so get in on the inside track now. Click Here to get your seat at the course. See you inside!